Our mission at Tap is to reset the balance of data ownership and create a data economy that works for both individuals and organisations. What does that mean? For years there has been a need for a different, beneficial approach to personal data management — this is where Tap comes in. Powered by end-to-end-encryption and blockchain technology Tap helps empower the individual to take control of their data, and builds a personal data store for them to manage this. At the same time, the Tap platform helps organisations communicate and respond directly to their customers; de-risking and managing the data that they hold. 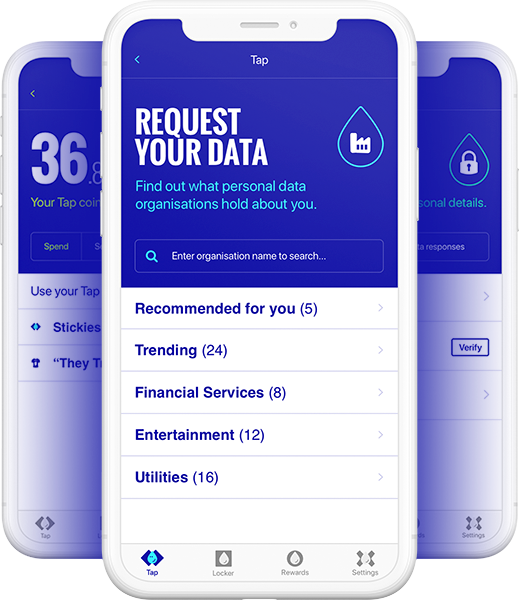 The Tap app gives individuals one place to secure and manage their personal data. Individuals are able to search for an organisation of their choice and send a data request to see what data that organisation holds about them, who they share that data with and what they do with that data. You will see this data request officially called a subject access request, or SAR. The Tap app provides a new found empowerment for individuals. To allow them to start a conversation with an organisation from a secure, single place and allow them to take control of their data. An inbuilt cryptocurrency token, or TAP token, rewards individuals for taking those steps. A blog post about the Tap token is coming soon — stay tuned. Apple’s Tim Cook recently visited a privacy conference in Brussels and talked about how organisations “should make it easy for users to access, amend and delete their data.” Despite individuals lacking control, organisations are now in a strong position to build trust, add brand value and form a better dialogue between themselves and their customers. 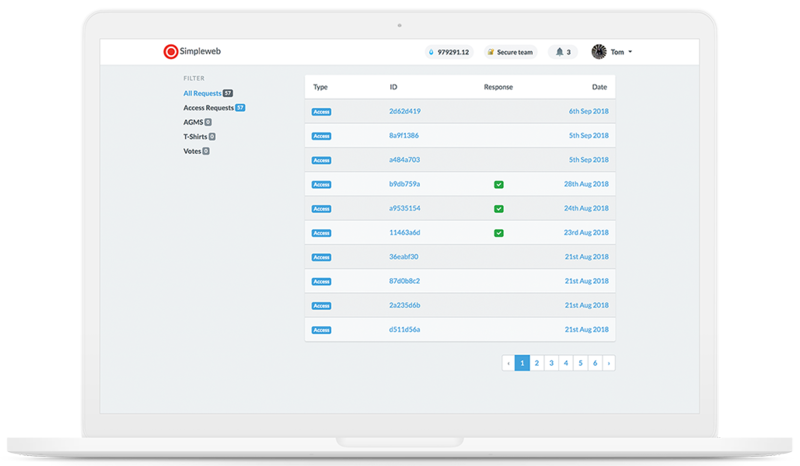 The Tap platform, currently in beta, allows organisations to manage SARs at volume, and communicate safely and securely to their customers regarding their personal data. This provides a big opportunity for organisations to improve their customer service, service delivery and manage their customers data efficiently and transparently. Tap allows organisations to de-risk their data, improve transparency and iron out tiresome data processes. Taking a positive approach to data practice organisations can build the very foundations that will allow for stronger and more meaningful relationships with their customers. To invite customers in, build transparency, inclusion and dialogue. A place that empowers your customers, and provides them with a foundation for trusting you. We believe organisations should go further and be better than compliant. In the future we believe we will see a fair data economy where everyone is empowered from their personal data. A future where people have greater control of their data and are rewarded by this new empowerment. A future in which organisations are able to nurture more trusting and meaningful relationships with their customers. Powerful change for the better is possible with Tap. These are exciting times, come join us.